We get a bit tired of being told what not to wear after you reach a certain age. It’s OK, we get it already. No mid-riffs, no micro-mini skirts, no shorty-shorts blah, blah, bloody blah. But what about a list of items with NO age limit? Trends you can wear forever that will keep you looking fresh. Not young, but fresh. We’ve put together our list of favourites that we wear on rotation – and will continue to do so. The perfect footwear for any age. 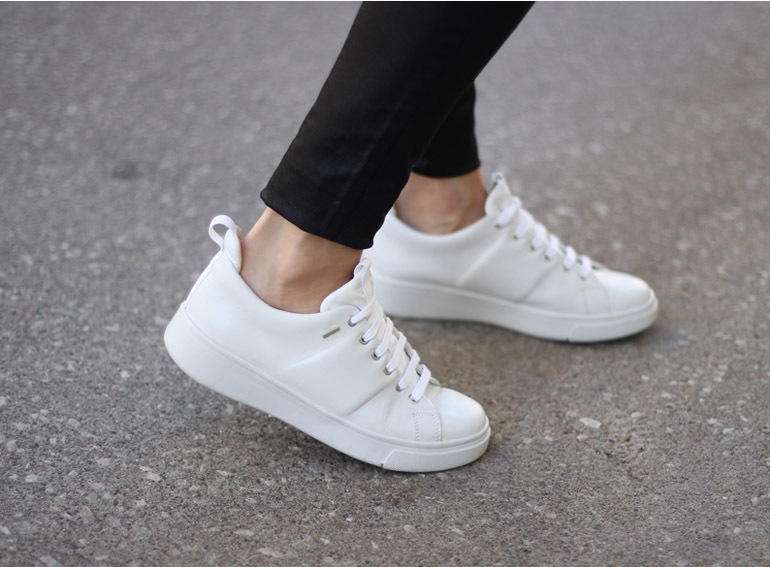 Over the last few years, white trainers have become the stylish footwer of choice for all ages. Easy to throw on with your jeans, just as easy and as stylish with your skirt. If you haven’t jumped on board yet, you haven’t lived. 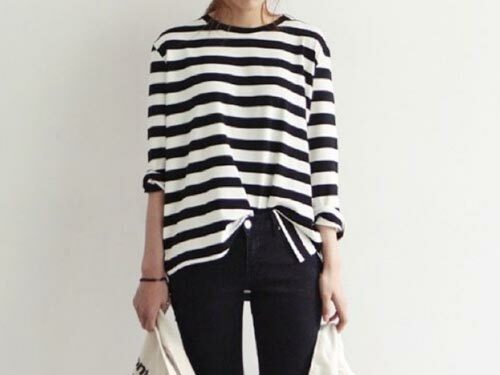 Something everyone of any age should own is the striped t shirt. Like Sandra Bullock, it never gets old. Looking to add a little Parisian chic under your blazer, simply add a stripe and voila. We talk so much about the Invisible Women, the one super-power women over 40 don’t want to own. That’s why colour is so important. Don’t listen to anyone who says you can’t do bold colours or pastel colours! We guarantee you’ll feel lighter and brighter once you add a little colour into your life. In the words of Style Icon Iris Apfel, “colour can raise the dead”. We have found that black coated jeans in a mid-rise skinny leg suit most women of any age. Not only are black jeans the most flattering by far, the coated variety have that extra hold in them to grip those thighs and butts like a vice. It doesn’t matter whether you go for a matt type or the high shine leather-look kind, in our opinion they all look great. This one can be a little derisive. To be age-appropriate, you have to be a little careful about what the statement t-shirt actually says. “Honey”, “Baby”, “Girl Gang”, doesn’t read so well once you’ve hit the Big 4 0. 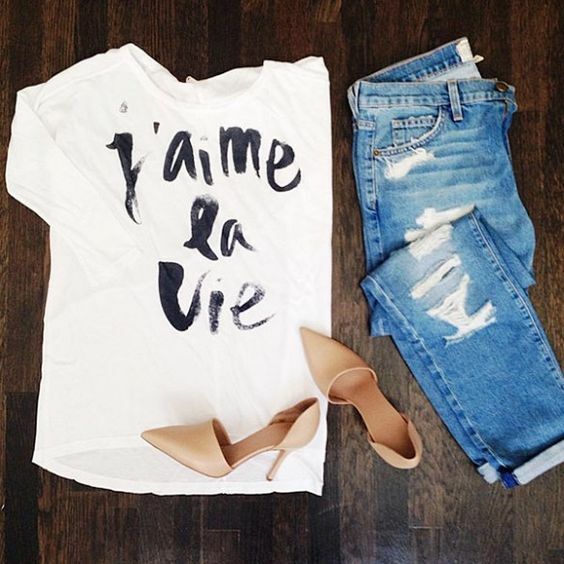 French words and phrases always work well, some brand names are good as well as statements that inspire positivity and gratitude. You decide what you want to say. Bugger everyone else! At the end of the day though, there are no hard and fast rules. As long as you’re enjoying playing with fashion and getting dressed up, who the hell cares. There you have it. That’s all from us. 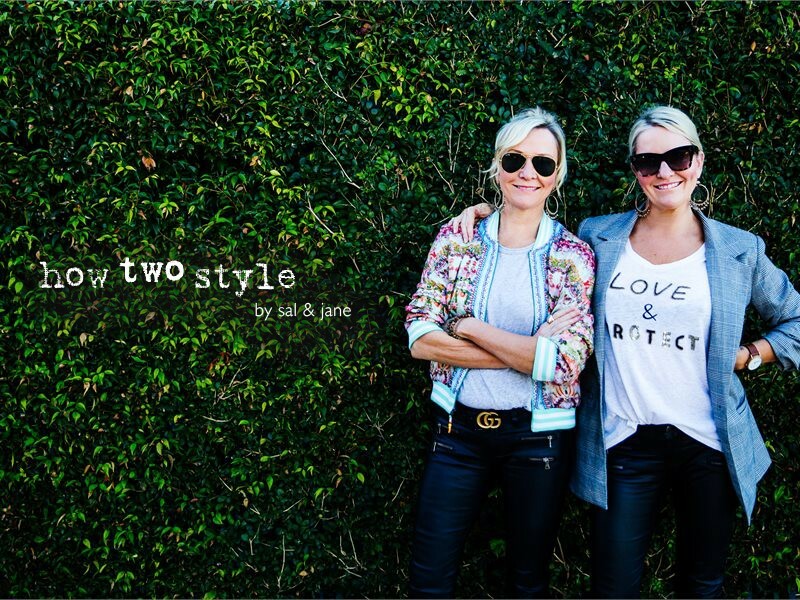 We’d love to hear what you think of age-appropriate dressing and what rules you follow when it comes to dressing your age. 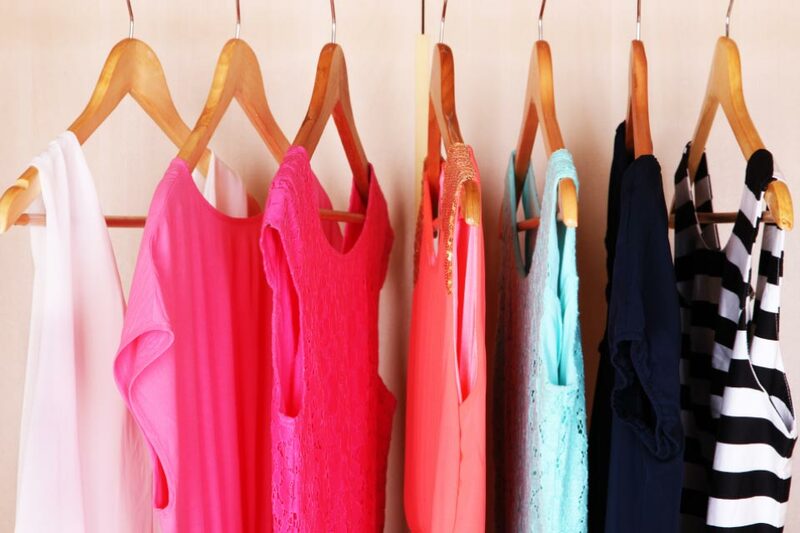 If you’re finding shopping a chore or if you simply need some updated style advice, please contact us. We are more than happy to help. That was very helpful tips .. Thanks Tatiana, we are really looking forward to shopping with you.